Vanderpump Rules Cast Celebrates LA PRIDE – Photos! It was a big weekend for the Vanderpump Rules gang! First Jax and Brittany got engaged, then everyone headed over to SUR to celebrate PRIDE with an 80’s-themed party! Newbie Adam Spott, who is on board for a much needed infusion of hotness this season, was there to mix it up with the veterans. Stassi Schroeder brought her new boyfriend, Beau, and they worked roller skates. A slew of reality stars showed up to support Lisa Vanderpump as she celebrated the 2nd annual Vanderpump Dogs Foundation Gala at Taglyan Cultural Complex in Hollywood. 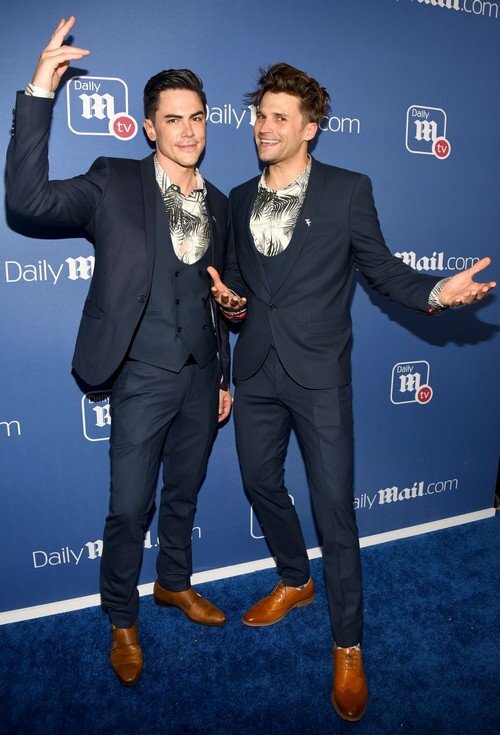 Among her co-stars and friends in attendance: Vanderpump Rules stars Jax Taylor, James Kennedy, Scheana Marie (with on-again boyfriend Robert Valletta), Tom Sandoval and Ariana Madix, as well as former Real Housewives of Beverly Hills star Joyce Giraud. She also drew support from other Real Housewives including Dolores Catania, Kameron Westcott, Melissa Gorga and more! Just in case her lifestyle wasn’t fabulous enough, Lisa Vanderpump is adding a little more glitz and glam to her repertoire! The restaurant owner, philanthropist, and star of The Real Housewives of Beverly Hills has been named Editor In Chief of the luxury magazine, Beverly Hills Lifestyle. Lisa, who’s been involved with the magazine for seven years, says she loves writing, “as my fans know from my blogs,” and that her tenure as Editor In Chief is “going to be a passion project for me.” Beverly Hills Lifestyle caters to a readership who are interested in the finer points of travel, food, fashion, and “luxury lifestyle” (hey, Kyle Richards – they stole your mojo!). 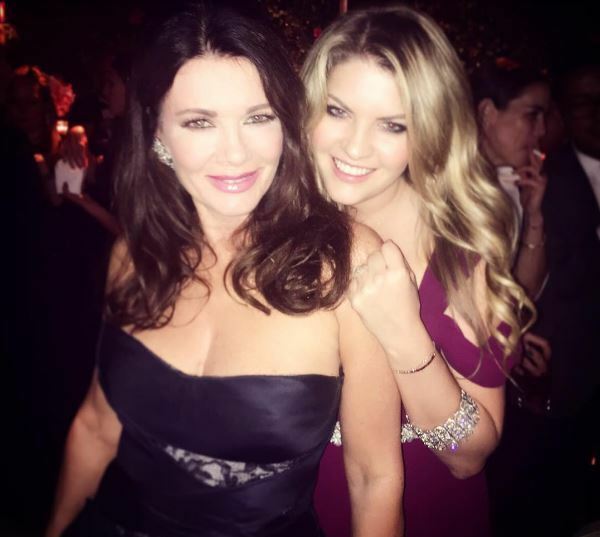 While we were home Sunday night filing our nails and taking out the garbage like regular people, Lisa Vanderpump and daughter Pandora Vanderpump Sabo were rubbing elbows with Hollywood elite at the Emmy Awards. You know, just another day in the life of Bravo royalty! 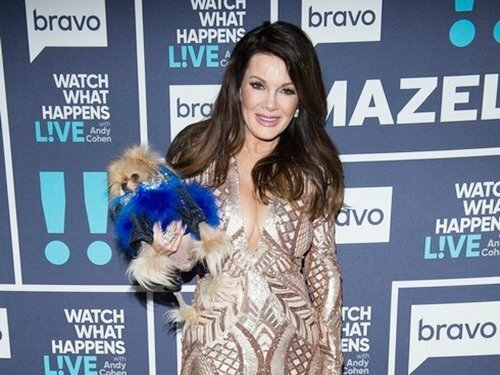 On the red carpet, Lisa took the time to dish on her two Bravo shows poised to premiere in the next few weeks: Real Housewives of Beverly Hills and Vanderpump Rules. Of VPR, Lisa shares that it will be a “tumultuous ride” as the cast marches its way toward the wedding between Katie Maloney and Tom Schwartz. But, Lisa admits, the cast still love each other despite their endless bad choices and backstabbing ways!